WCRE is proud to have exclusively represented Kaufman Borgeest & Ryan LLP (KBR) in the leasing of 2,527 Square feet of office space located at 457 Haddonfield Road, Cherry Hill, New Jersey. Kaufman Borgeest & Ryan LLP is a law firm focused on Professional Liability, Insurance Coverage, Employment Practices, Healthcare Law, General Liability, Nursing Home and Long Term Care. KBR has 8 offices throughout the country and are headquartered in New York. This “Class A” Cherry Hill property will serve as KBR’s Southern New Jersey practice location. 457 Haddonfield Road is owned and Operated by Zamir Properties and is located in the heart of the Cherry Hill Business district providing direct access to Route 38 and 70. Wolf Commercial Real Estate is the foremost Cherry Hill commercial real estate broker that specializes in representing Cherry Hill office space for buyers, sellers, owners and tenants. We offer unparalleled expertise in Cherry Hill commercial real estate listings and services. The team at our Cherry Hill commercial real estate brokerage firm works hand in hand with our clients and prospects to help them attain their real estate goals by providing ongoing detailed information about office space in Cherry Hill. At Wolf Commercial Real Estate, the premier Cherry Hill commercial real estate brokerage firm, our Cherry Hill commercial real estate services encompass the highest quality of service and proven expertise. As a leading Cherry Hill commercial real estate broker, the team of real estate professionals at Wolf Commercial Real Estate helps owners sell and/or lease their office space in Cherry Hill through a defined marketing process that we tailor to each property. This proven marketing strategy successfully matches buyers and tenants with available Cherry Hill office space. 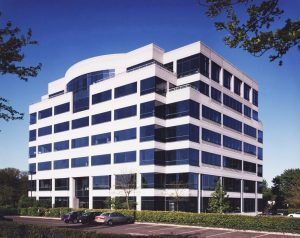 For companies and individuals seeking new office space in Cherry Hill, the knowledgeable team at our Cherry Hill commercial real estate brokerage firm are experts in identifying the Cherry Hill office space that best suits your needs. Our Cherry Hill commercial real estate team will ensure that the sale or lease terms for your new office space in Cherry Hill are the best fit with your commercial real estate goals.